Helen has been a member of the Nursing in Practice Advisory Board since 2006 and more recently has become one of the Judges for Nurse of the Year and Innovator of the Year within the Nursing in Practice family. As well as being a qualified midwife, she has a long history of community based nursing since qualifying in 2003 from the University of Glamorgan. 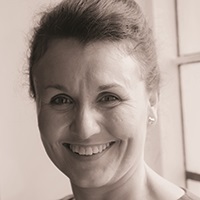 Gaining experience within the General Practice setting since 2005 and successfully completing her BSc in Community Studies in 2007 Helen became self-employed in 2009. Helen now works as a Nurse Practitioner, specialising in minor illness in General practice in the South Wales Valleys and is currently studying for her MSc Advanced Nurse Practitioner qualification in the University of South Wales. Her enthusiasm for both the Nursing Profession and the community setting is without boundary and she has successfully mentored several community based nurses through their own educational endeavours within the Community Practice BSc.